Benjamin joined the Foundation as a networked improvement fellow in 2018, committed to improving life outcomes amongst traditionally underserved students. He comes to the Foundation from the Graduate School of Education and Information Studies at the University of California, Los Angeles. 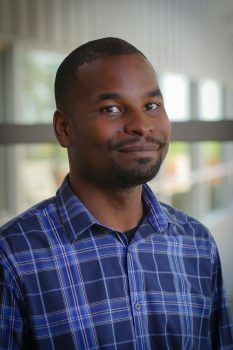 He served as a researcher with the Improvement by Design Research group led by Louis Gomez and Kim Gomez, worked as a network-improvement support person with the Los Angeles School Improvement Network, and also worked on high school initiatives with the NSF-funded Spatial Intelligence and Learning Center. Before moving to California, Benjamin served as a K. Leroy Irvis Doctoral Fellow in the Center for Urban Education at the University of Pittsburgh. He is also a 2005 Gates Millennium Scholar, 2005 Horatio Alger National Scholar, and 2009 Dennis and Phyllis Washington Family Scholar. Benjamin earned a bachelor’s degree from Wake Forest University in sociology. He also holds a Ph.D. in Education from the University of California, Los Angeles.